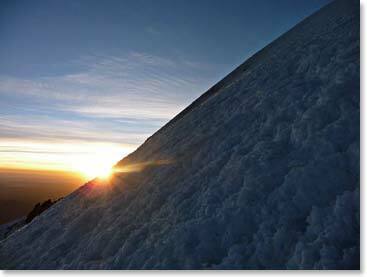 Bolivia Expedition Dispatch: June 23, 2011 – Sajama Summit Day! June 23, 2011 – Sajama Summit Day! 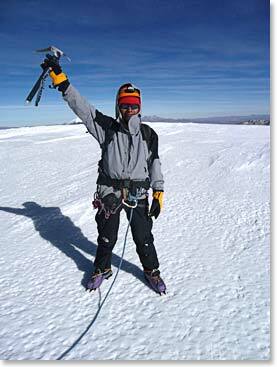 This is Osvaldo calling from the high camp of the mountain Sajama, here in Bolivia. It is now 2am in the morning, we are getting ready to leave up the mountain. The weather is getting better, sometimes clear, sometimes cloudy. 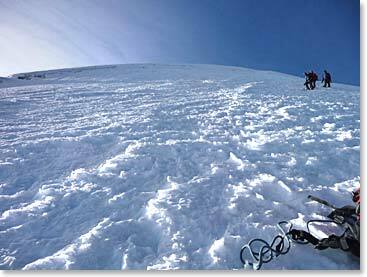 Richard, Ryan and Lucas have decided to climb and attempt Bolivia’s highest peak – Sajama at 21,463ft/6,542m. The others have chosen to rest in their tents and are happy having made it to high camp here on Sajama. Hi, this is Richard Clark calling from Sajama high camp in Bolivia. It is approximately 12:05pm and we just got down off the mountain. Ryan Connolly and I summited. We started this morning at 2:30am and we arrived at the summit at 6:30am. The snow conditions going up were very good. It was really windy, maybe 30 mph, on the top. It is a very steep mountain, so we were very tired coming down. The trip was long, but the climb was beautiful. We really appreciate Osvaldo and the rest of the guides who were dedicated to getting us up the mountain safely. All in all, it was a great day and after a little rest, we will head down to base camp. 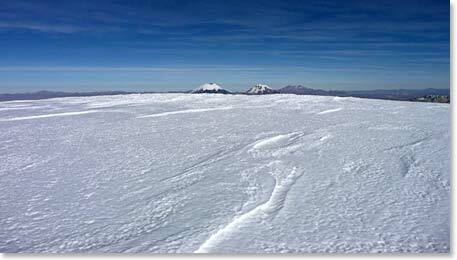 Note from the Berg Adventures Office: Osvaldo called us around 3:15 Bolivia time to tell us that the group has returned safely to base camp where they will spend the night. Well done everyone for a great climb!